On April 7, 1862, the Battle of Shiloh ended with a United States (Union) victory over Confederate forces in Pittsburg Landing, Tennessee. 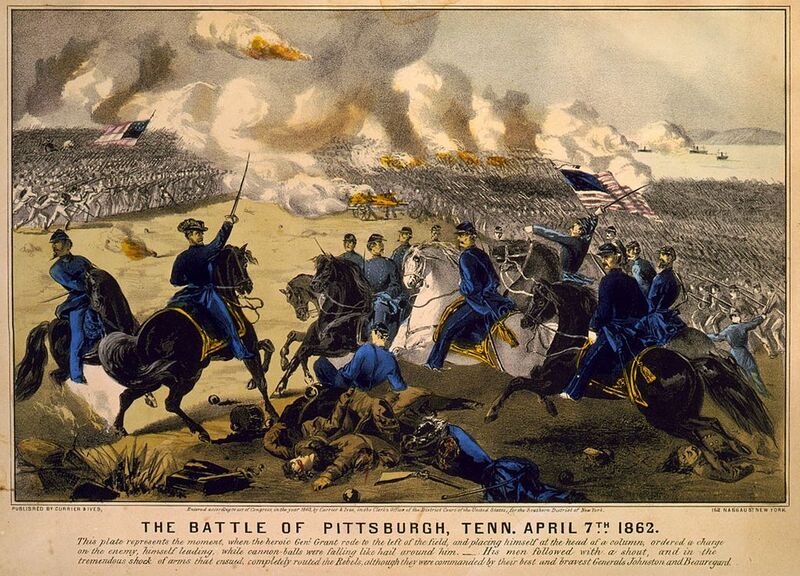 The Battle of Shiloh (also known as the Battle of Pittsburgh Landing) was a crucial victory for the Union during the Civil War. The Battle of Shiloh was a crucial success for the Union Army, led by Gen. Ulysses S. Grant’s Army of the Tennessee (named for the river, not the state). It allowed Grant to begin a massive operation in the Mississippi Valley later that year. This culminated in the brutal Vicksburg Campaign, which targeted the “fortress city” of Vicksburg, Mississippi—the last Confederate-controlled area along the Mississippi River. having to do with the Confederate States of America (south) during the Civil War. to reach the highest point or most important part of something. predetermined course of events in the life of a person. protected place. Also called a fort. to go beyond a set limit.